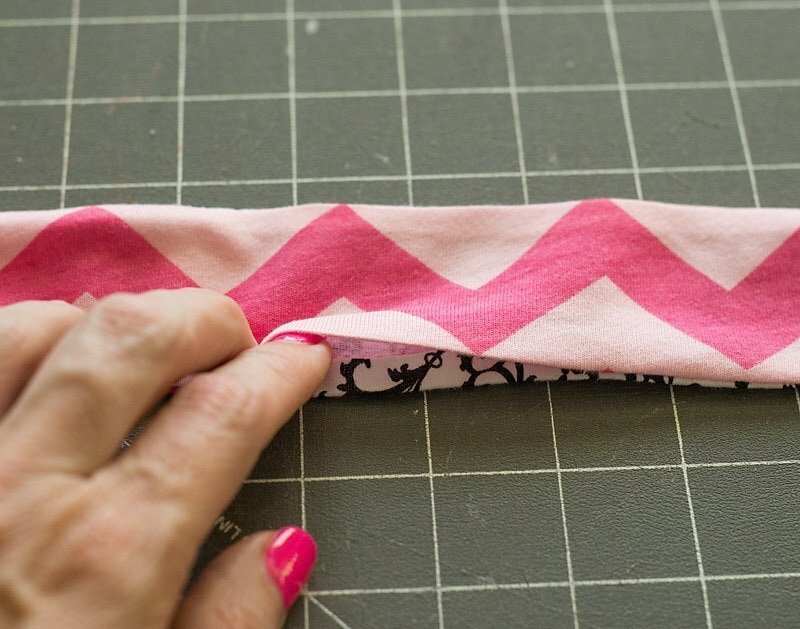 You are here: Home / Sewing / Best Lil’ DIY Headband Ever! 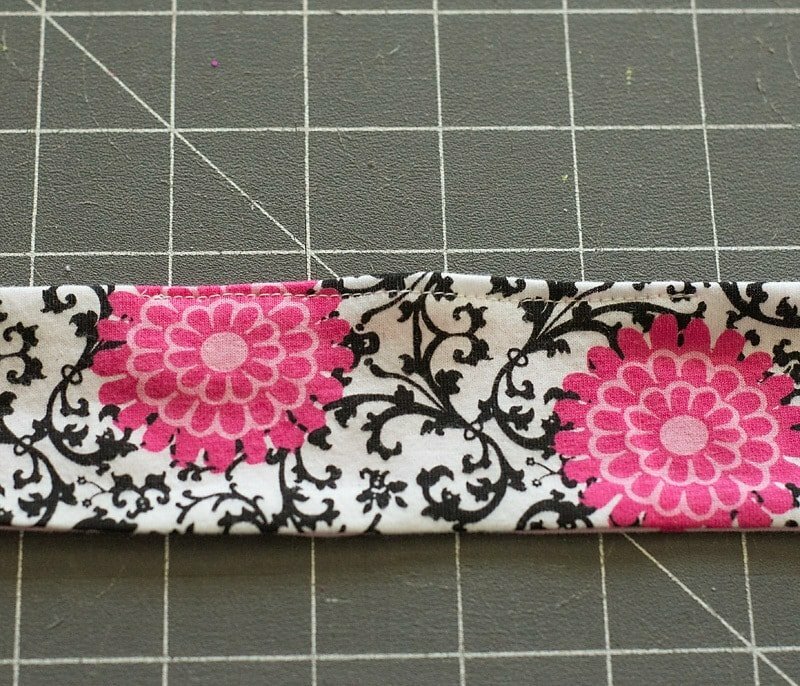 Want to learn how to sew a headband? 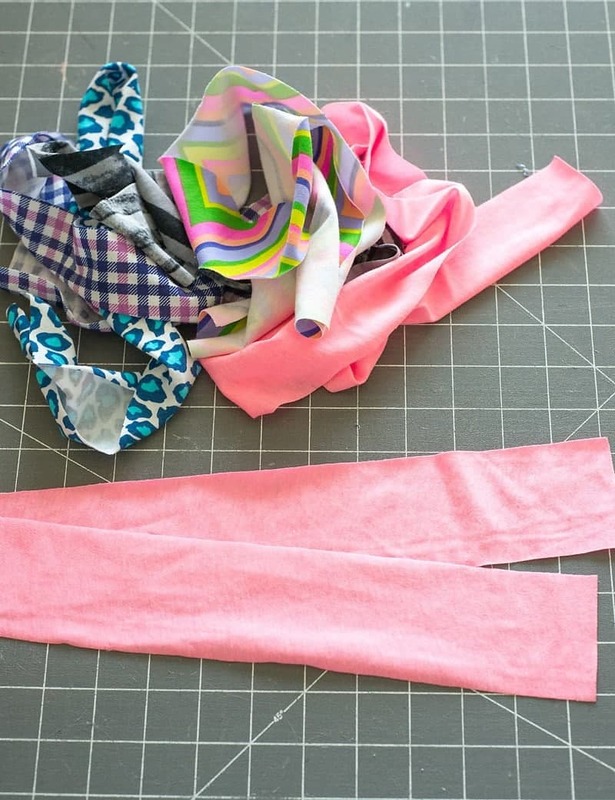 This super simple DIY Headband Tutorial is about the easiest headband to you can make! 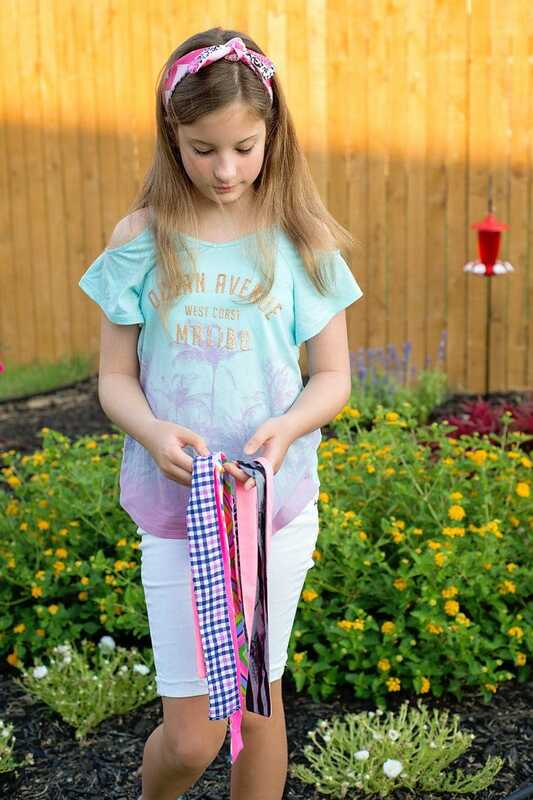 Well, it’s official… We are back to school! I do have a couple of items I want to get to over the next few weeks. Like capri leggings, some t-shirt dresses and a cute little circle top I’ve been planning to make a pattern for. 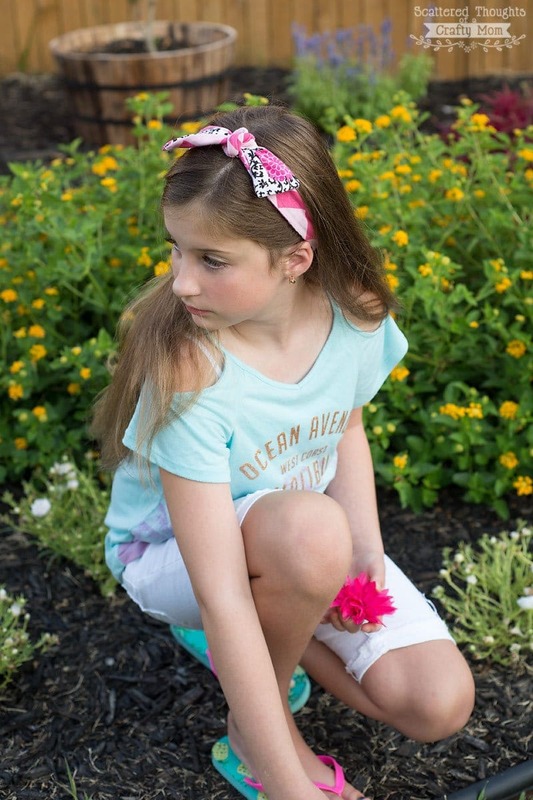 I will say, (other than underwear and socks, lol) there is one item we can never have too much of… Headbands and hair accessories! 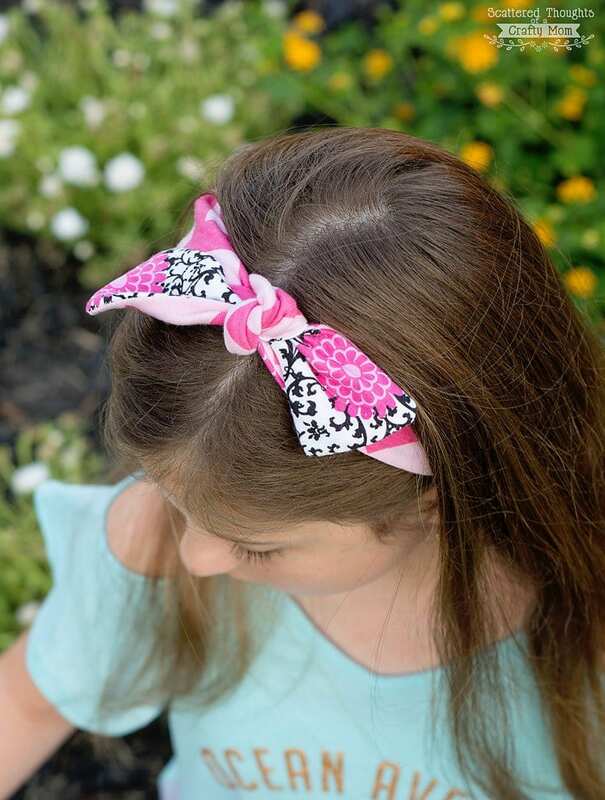 When I first tried one of these headbands on my missy, it was a warm, humid day and her hair was down. She loved it immediately and the first thing she said about it was how much she loved that the headband lifted her hair off her neck! 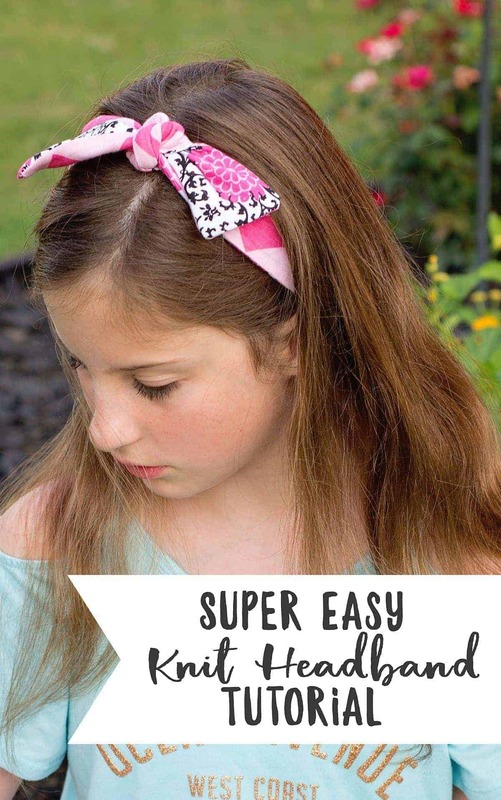 She officially named it the Best Lil’ DIY Headband Ever! 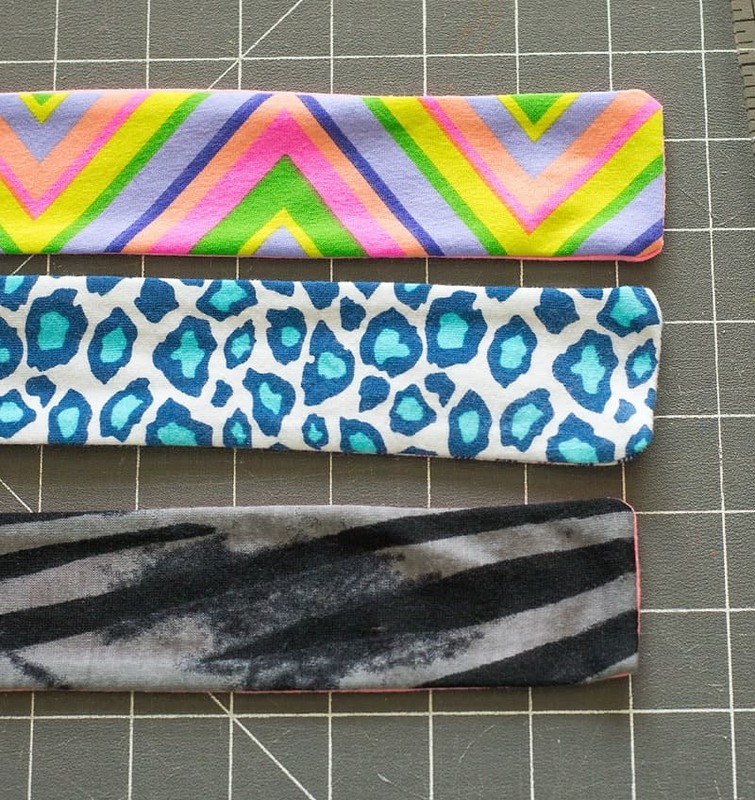 This headband tutorial is really easy. There’s no elastic- it’s just two strips of fabric sewn together and flipped around. (or just one piece if you don’t make it reversible) I do recommend using a knit fabric as the extra bit of stretch will make the headband stay in place a bit better. 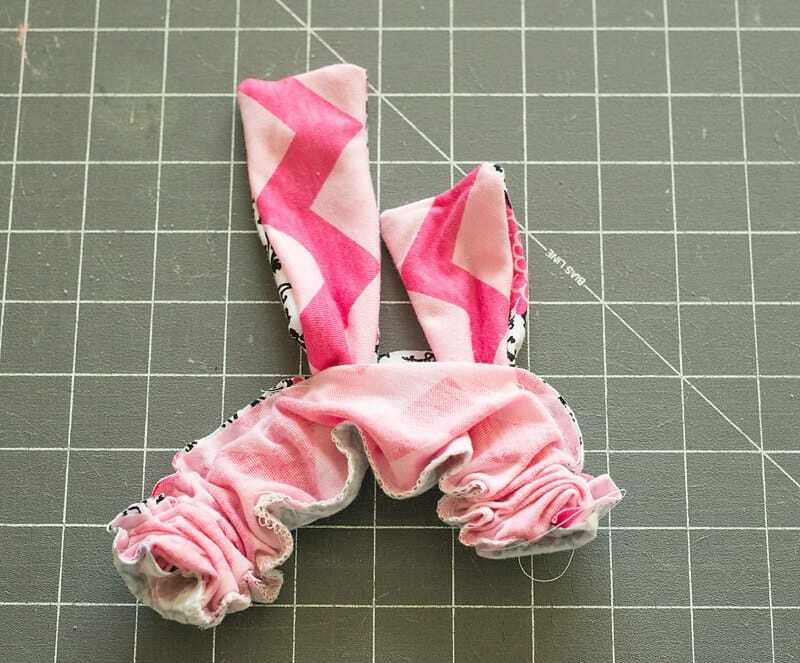 It’s a great project for someone learning to sew and would also make a cute item to sell at craft fairs. I think I will even suggest it to my lil missy for her business fair project this year. What do you think? 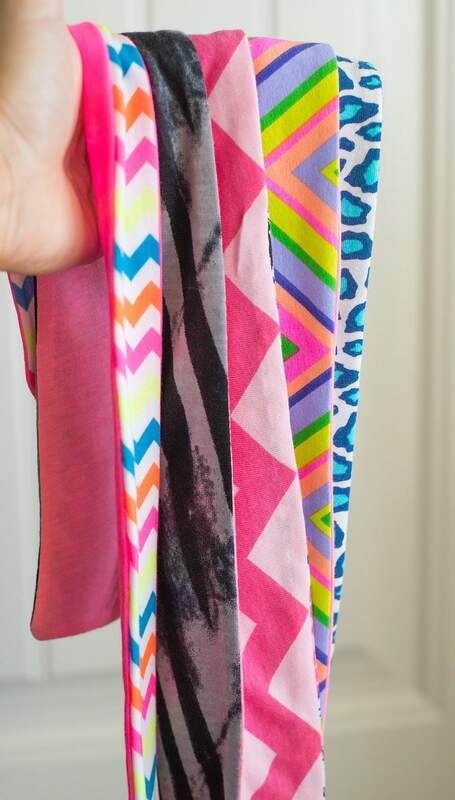 Are you ready to sew up a few of these headbands for your self? Step 1: Cut 2 strips of fabric 29 inches long by 2.5 inches wide. The stretch of the fabric should run in the direction of the long side. Step 2: Line the fabric strips up, right sides together. 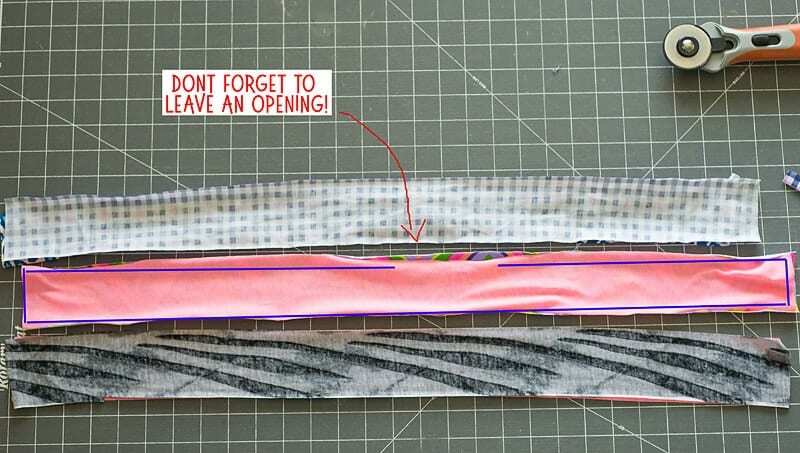 Starting near the center of the strip, sew all the way around fabric, leaving a 1.5 inch gap in the center. Step 3: Turn headband through the opening. Step 4: Press the headband all the way around. F folding the seam allowance of the opening toward the inside. Step 5: Sew the opening closed, with your machine (stitch will be visible) or by hand with a hidden stitch. That’s it, repeat the steps ’til you have as many as you need! Let me know if you make one by sharing your finished project to my Facebook page or by tagging me on Instagram and using #scatteredmompatterns!